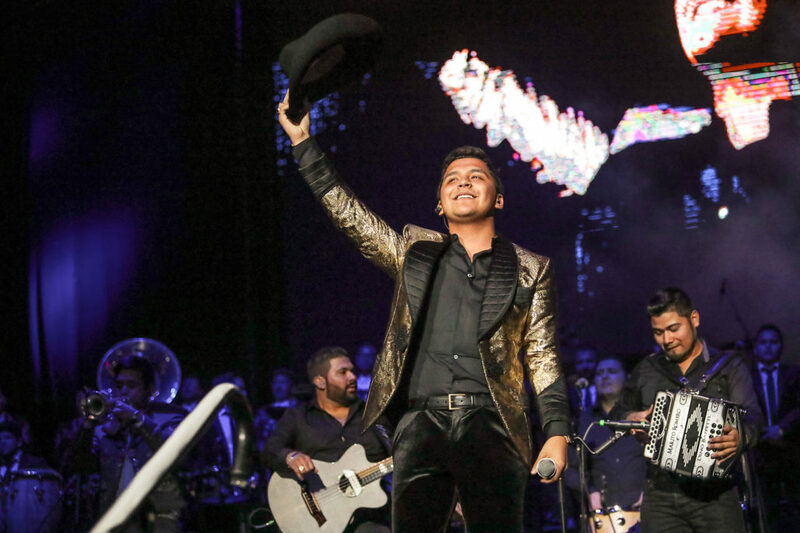 Pepe Aguilar and Family With Christian Nodal Kicked Off The Jaripeo Sin Fronteras Tour This Weekend With A Sold Out Staples Center In Los Angeles. 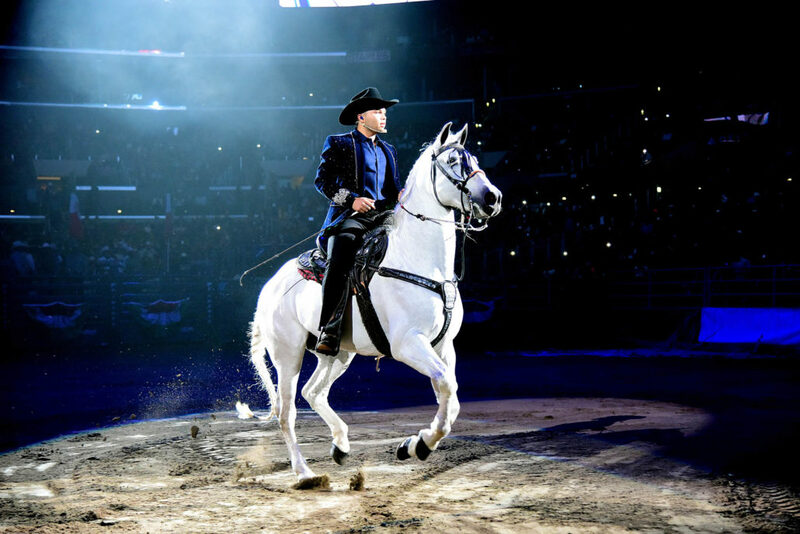 International music star Pepe Aguilar, along with his family and Christian Nodal kicked off this weekend at the Staples Center in Los Angeles and Viejas Arena in San Diego, on their JARIPEO SIN FRONTERAS Tour. 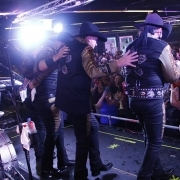 The JARIPEO SIN FRONTERAS tour is a new version of the traditional Aguilar family Jaripeo. 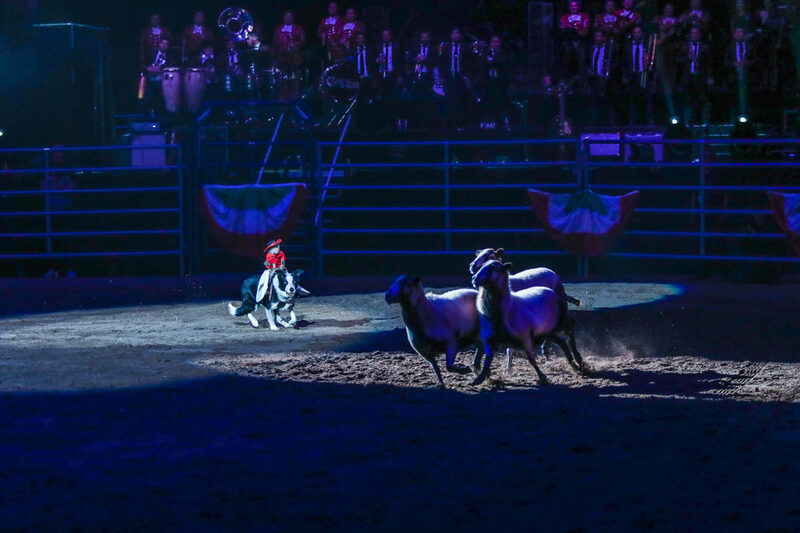 It is known for its musical, equestrian, and rodeo combination. 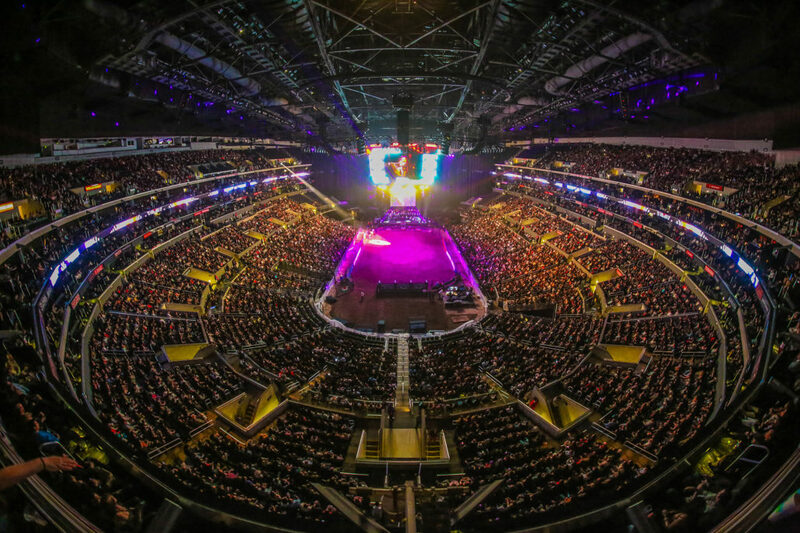 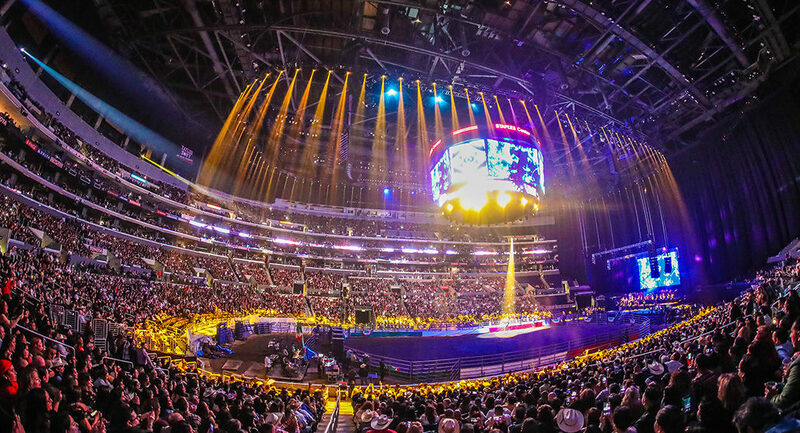 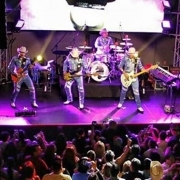 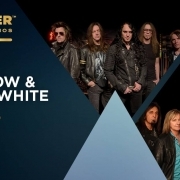 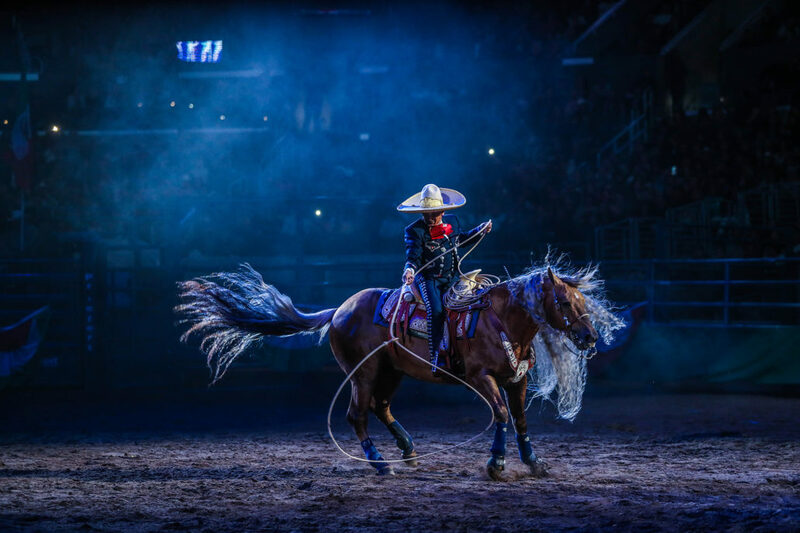 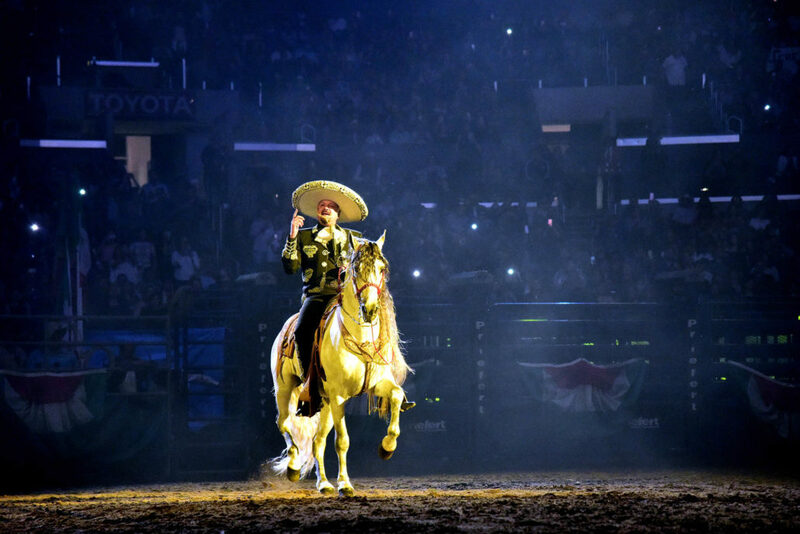 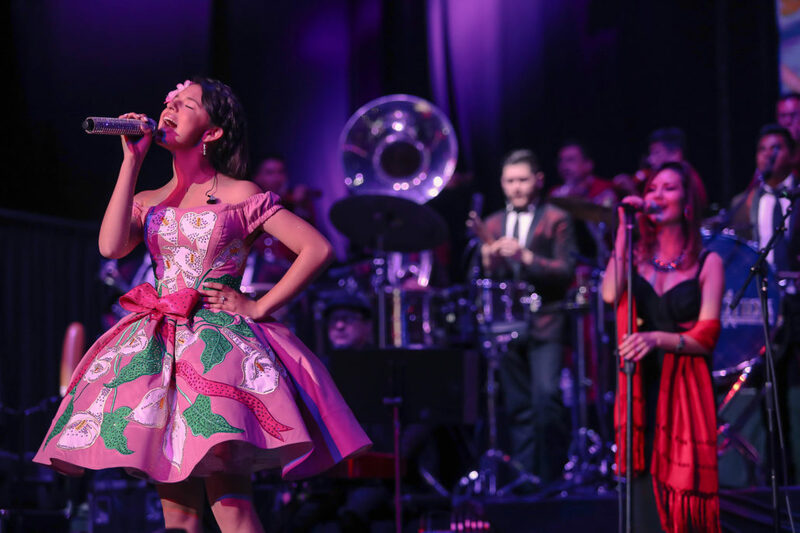 Those in attendance were able to enjoy this mega concert that featured the performances of Pepe Aguilar, Leonardo Aguilar, Angela Aguilar, and Christian Nodal along with 15 horses, American cowboys, bullfighting clowns, and the cowboy monkey “Whiplash”. 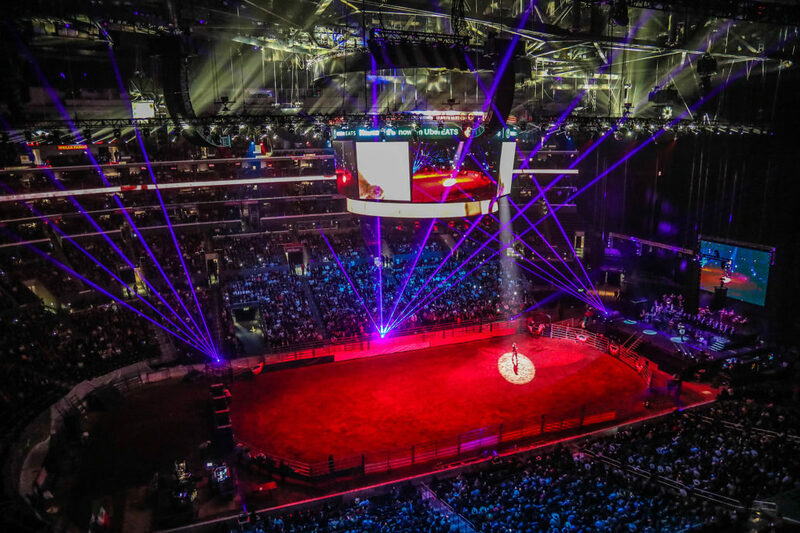 The show also included amazing technology and pyrotechnics that Pepe has dubbed “Jaripeo 2.0”. 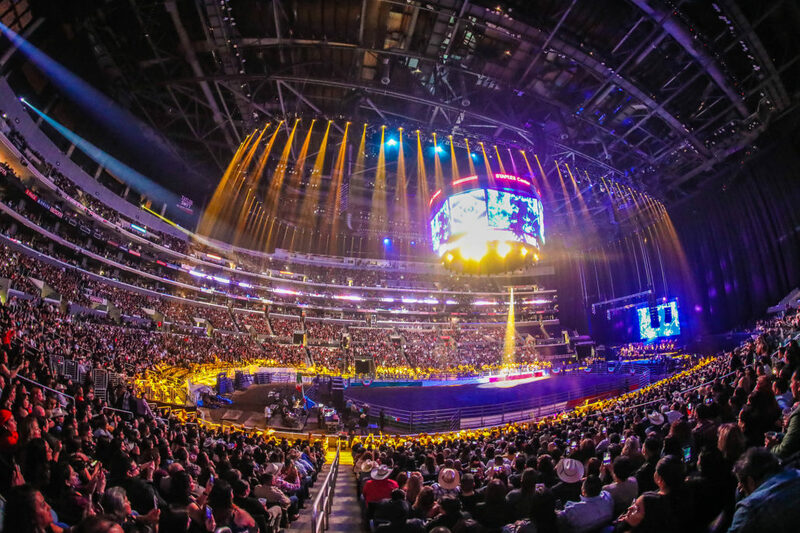 “I am tremendously proud and grateful for the life that allows me to re-ignite a story that began many decades ago. 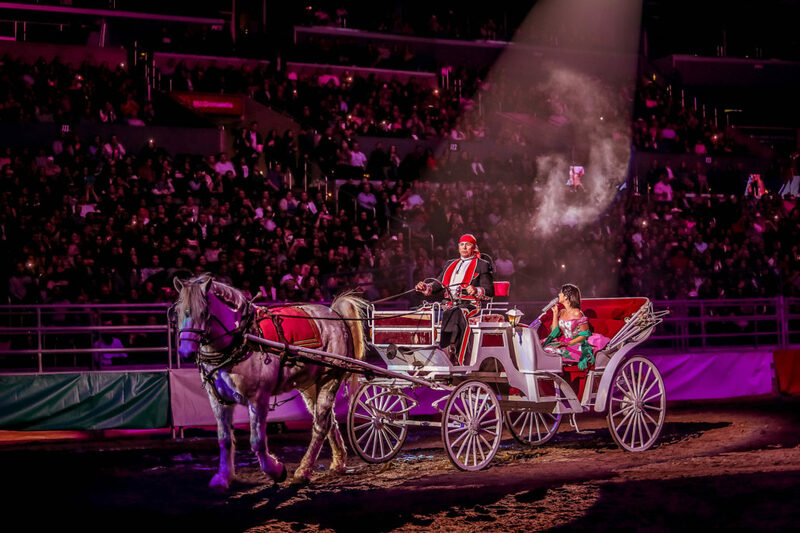 A story of a humble Zacatecano without academic education but with heart and the education of life reaching out to the most hidden corners of the continent, taking a flag and its traditions, its music, its culture and its charro costume” commented Pepe during the concert. 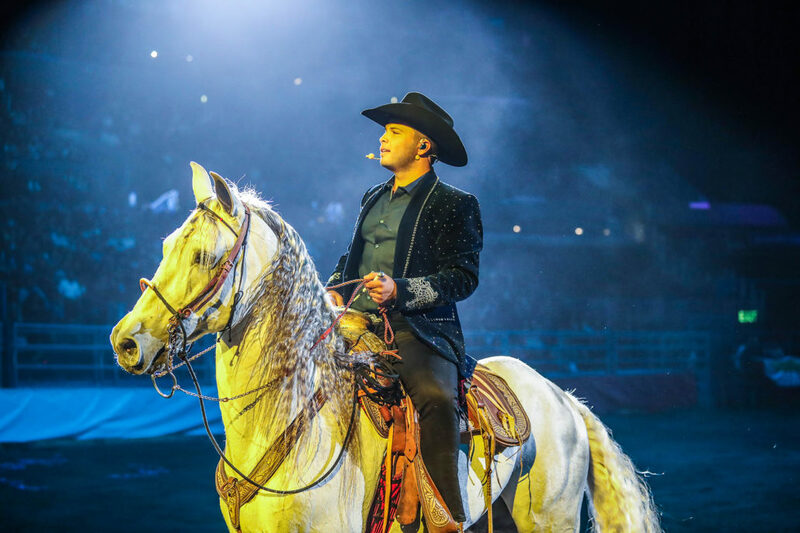 Special guest Christian Nodal is a superstar in this new generation of mariachi and norteño musicians. 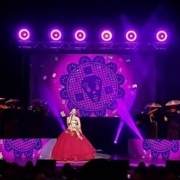 He began his performance with his hit “Adiós Amor”, which won the “Favorite Song” award at the Latin American Music Awards and reached number one on the Billboard Regional Mexican Songs list. 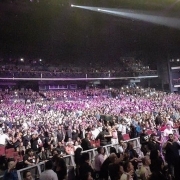 He then sang “El Rey” and other hits that had the audience on their feet and singing along. 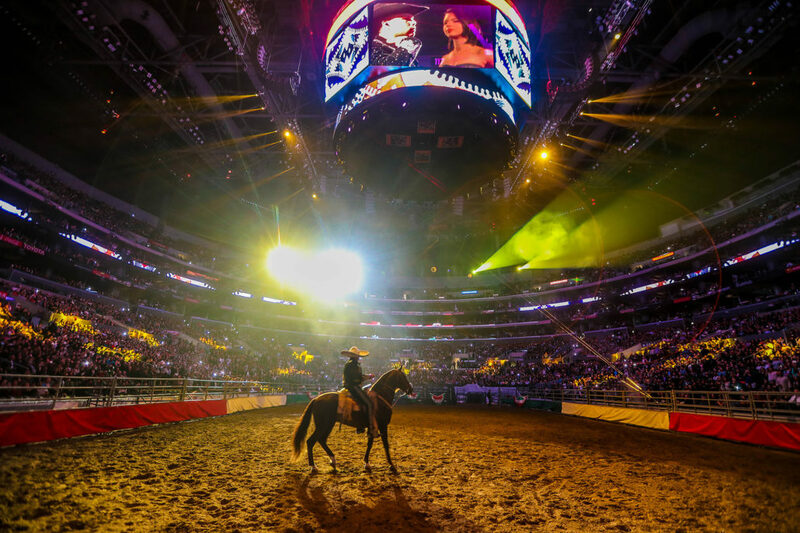 JARIPEO SIN FRONTERAS will continue through 15 other major cities, including Chicago, Dallas, El Paso, and Oakland.